Robert Shwetz is the Founder and Strategist for The Growth Activists in Sydney, Australia. 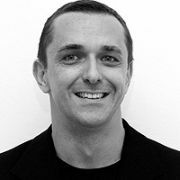 He worked previously for BBDO in Melbourne Australia, Ion Global (Hong Kong), Vickers and Benson (Toronto, Canada), Bates Worldwide (Hong Kong) and the Veggie Men (Hong Kong). Shwetz had publications at the Marketing Magazine, Brand channel, TTG and Campaign International. He was a member at the Creative Advertising Advisory Committee and the Seneca College in Toronto, Canada and has a membership at the Australian Institute of Management. Robert works and lives in New South Wales, Australia.